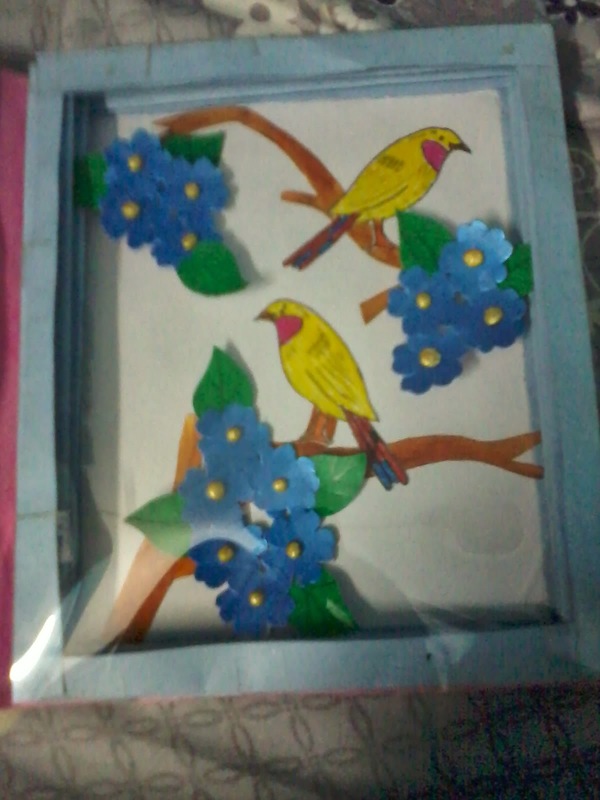 I got inspiration to make book box card from http://beccysplace.blogspot.com.au/2012/03/technique-class-book-box-card.html. I used C - Chart paper, Color pens, L- Layers, Leaves, P- Pearls. 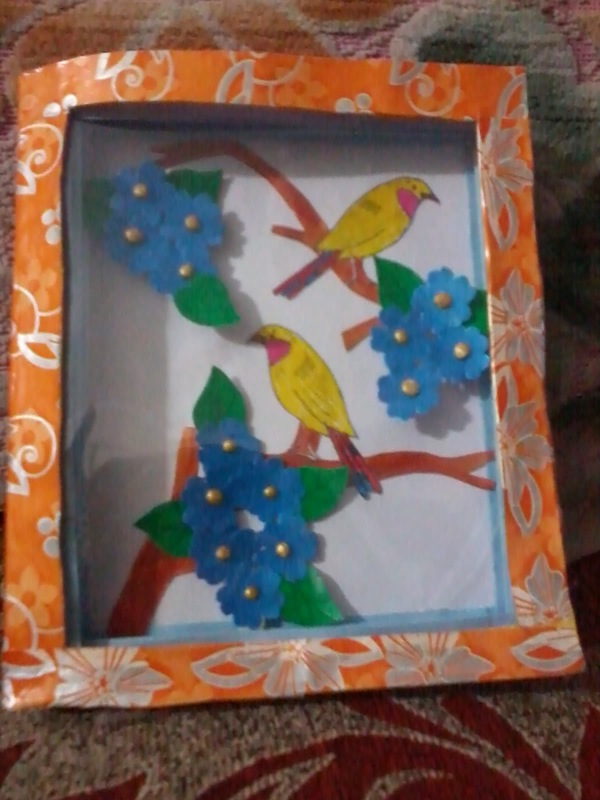 I used double side gum tape to stick the flowers to the folds of the frame .I have also used acetate sheet to cover the window. Thats real good effort ! Love the birds ! Thanks so much for joining us for Lulupu 2nd Birthday Celebration and challenge #27.